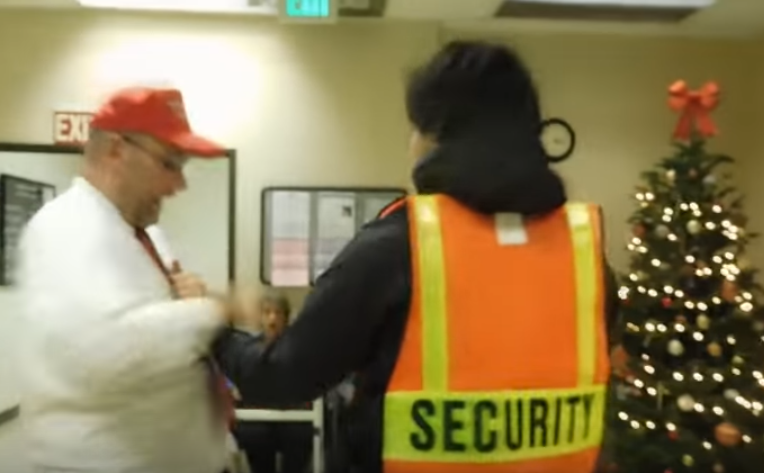 Patriots were assaulted when trying to meet with an LA County supervisor to express their opposition to a measure designed to defeat Trump’s expected enforcement of the immigration law in LA County. They want to make the borders open to illegals, but the offices of the politicians are ironically closed, locked, secured, walled-off and fully protected against irate constituents, who don’t want 10’s of millions of their tax dollars spent defending illegal aliens. Supervisor Hilda Solis must step down from her position as Los Angeles District 1 Supervisor. Electd officials have an obligation and soon duty to represent their constituents and oversee the proper use of taxpayer funds on behalf of taxpayers. It is also against the law to aid and abet illegal aliens. Why are politicians above the law?